Did you know the Y is the largest nonprofit community service organization in America? Get your friends to join this network, then get connected with their friends, friends-of-friends and beyond. 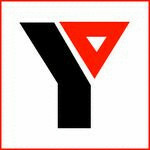 This site is not affiliated with the YMCA.